Metropolitan Police in the United Kingdom responded to an incident at London’s Oxford Circus underground station on Friday before declaring the situation over shortly after. The police initially responded “as if” it were a terrorist-related situation but it appears to have been a false alarm with the Metropolitan and British Transport Police reporting no casualties or evidence of shots fired. The station was initially evacuated in a mass panic before 5 pm local time, according to reports on social media. At about [4:38 pm] we started to receive numerous 999 calls reporting shots fired in a number of locations on #OxfordStreet [and]at Oxford Circus tube station,” reported the British Transport Police. “Given the nature of the info received we responded as if the incident was terrorism, including the deployment of armed officers,” the statement continued. 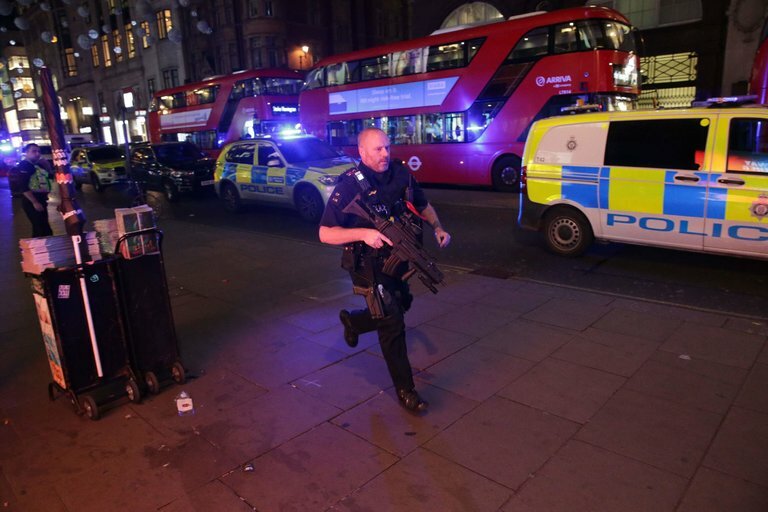 London police advised people initially to stay indoors, but have since lifted the “shelter-in-place”. “To date police have not located any trace of any suspects, evidence of shots fired or casualties”, reads a statement released by police. The Oxford Circus station and one other that was shut down during the incident are now reopened, and the streets around it are cleared of police cordons. More details to follow. Image 1 of the scene rom Getty Images/AFP.